Looking for the best place to sell or buy musical instruments Mesa has available? Our pawn shop is the best pawn shop for just that! Do you have an old saxophone that nobody plays anymore? Perhaps a clarinet, trombone, trumpet, flute, violin, drums or guitar? If you have any old musical instruments lying around the house collecting dust then bring it in to our pawn shop today and Pawn or Sell it for CASH in Mesa! You no longer need to put your musical instruments up for sale, now that you have Oro Express Mesa to turn to. Pianos, keyboards, acoustic and electric guitars, base guitars and amplifiers, horns, accordions and you name it. From single snare drums to complete drum kits. Any instrument and any brand. Our pawn shop will pay you the most money for your new or used musical instrument. Including, but not limited to, Yamaha, Fender, Gibson, Guild, Rickenbacker, Conn, Olds, Tama, Pearl, Ludwig, Marshall, Zildjian and the list goes on! We will offer you the most money for your Gibson Les Paul, Fender Stratocaster or Telecaster! Our music store will buy your quality used equipment like mixers, mics, stands, power boards, amps and speakers. Peavy, Cerwin-Vega, Yamaha and much more. You name it and we’ll buy it offering you the most cash anywhere. If you have a budding musical prodigy at home, Our store in Mesa has a great assortment of used musical instruments for sale at reasonable prices. 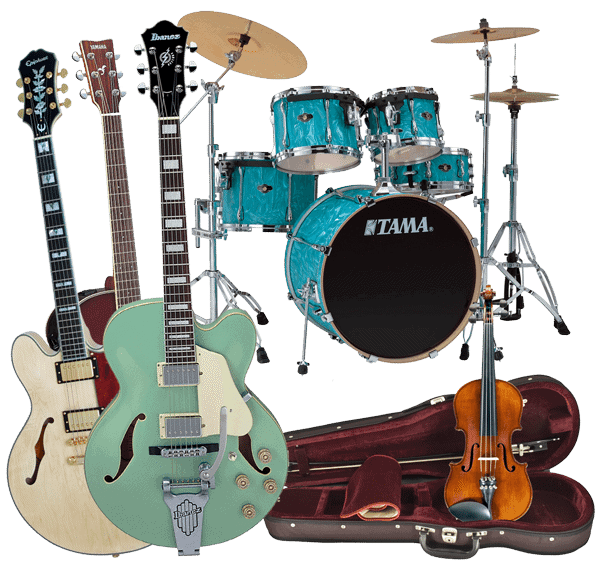 We also can provide pawn loans and trades for your good used musical instruments and equipment. So whether you are looking to buy, sell, pawn, or trade for good quality musical instruments then come to our pawn shop today. Let our experts appraise your instrument and offer you the most cash anywhere to either loan or buy your instrument outright. The BEST place to buy musical instruments Mesa is at our pawn shop, Oro Express Mesa!